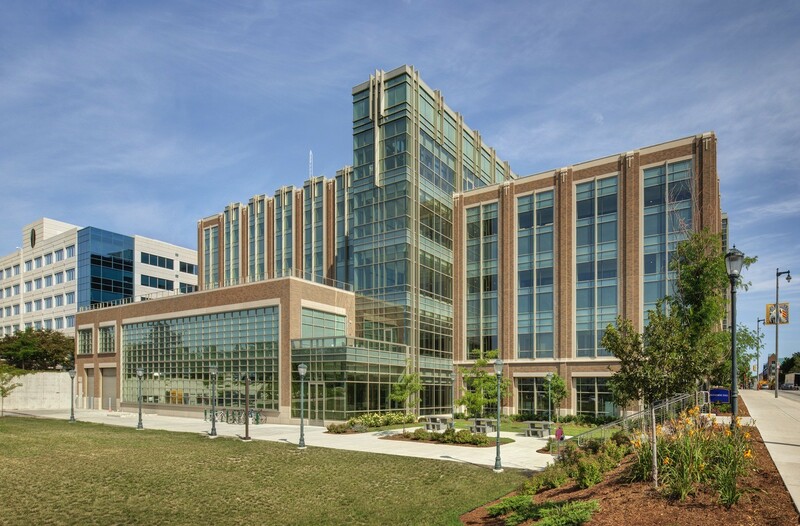 The interdisciplinary College of Engineering building for Marquette University is a welcoming new facility for the science disciplines, the broader campus environment, and the surrounding urban community. 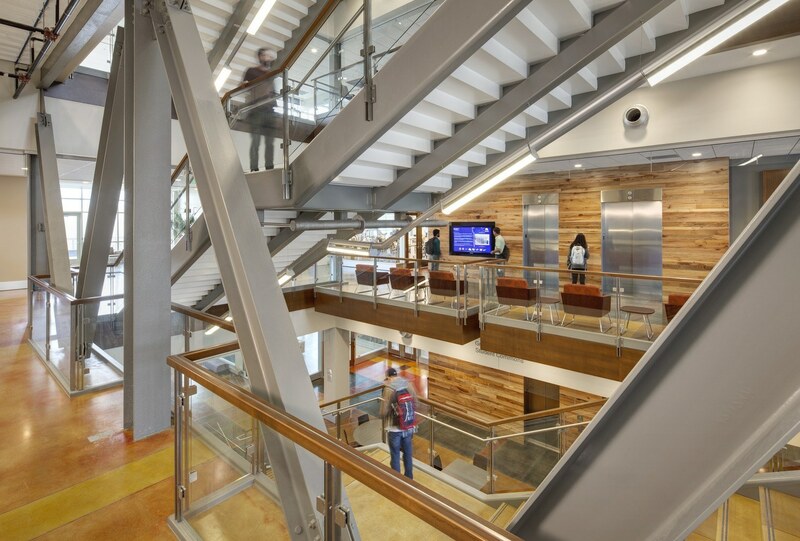 The building consolidates four engineering departments—biomedical, electrical, mechanical and civil—into one facility, furthering the College’s goal of facilitating interaction between departments. 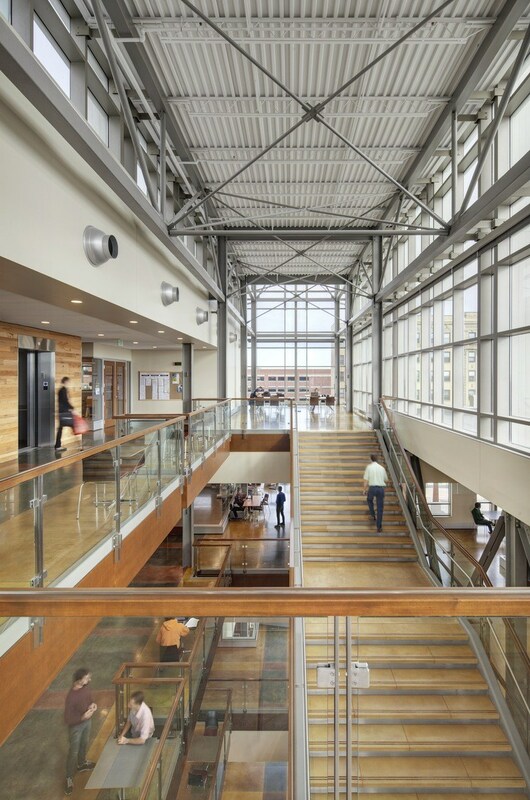 Each floor provides classrooms, undergraduate laboratories, and graduate research laboratories arranged thematically—rather than by department—to encourage innovation across disciplines. 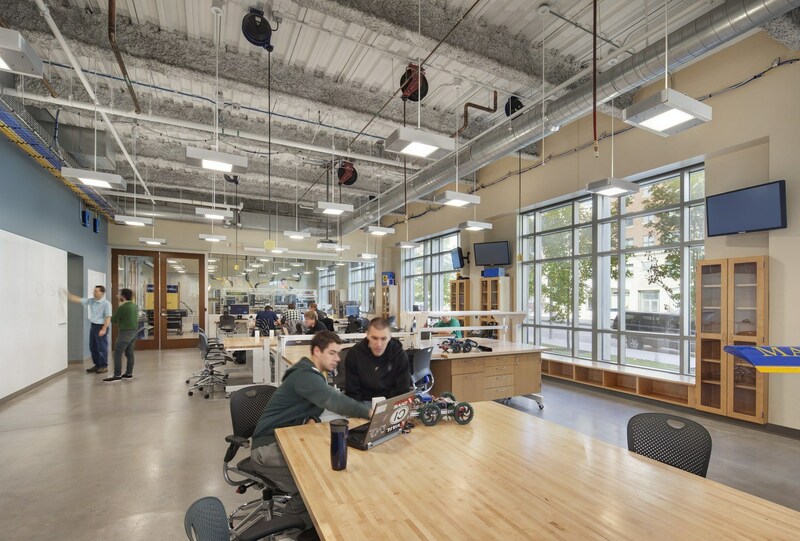 The design accommodates efficient laboratory space with an eye toward long-term flexibility. 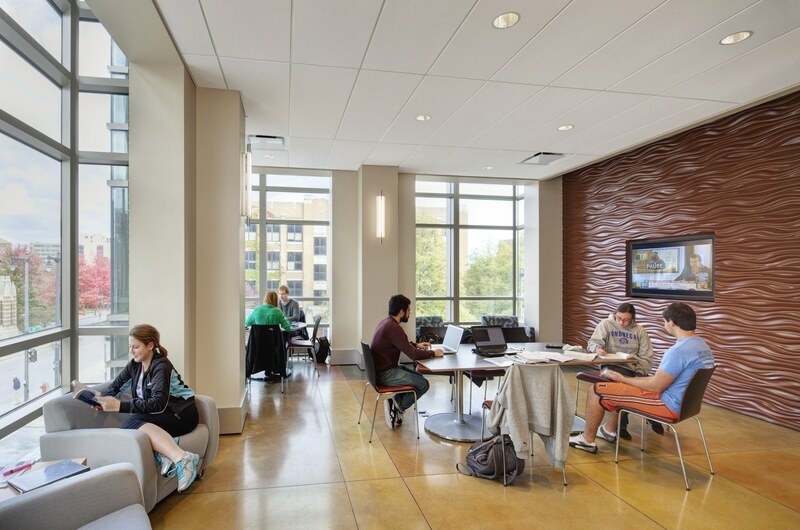 Continuous lab modules and gracious ceiling spaces throughout provide flexibility to allow the program to grow while remaining at the forefront of teaching methods.